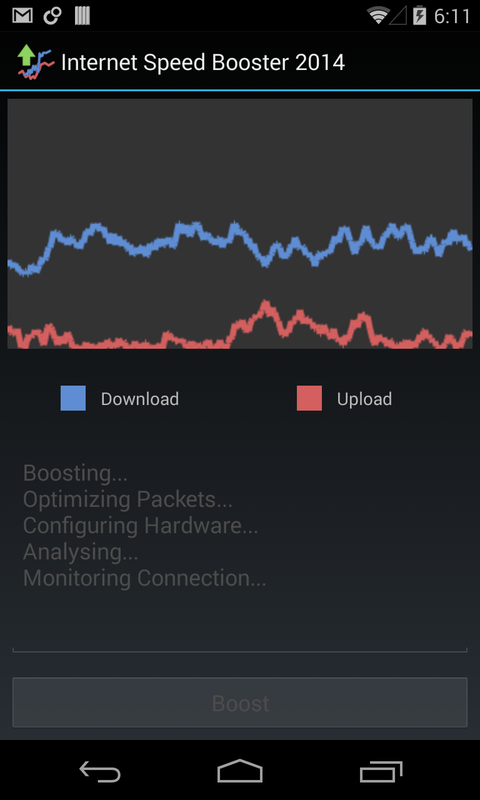 Internet Speed Booster 2014 is a handy free prank utility app that makes it appear as though your internet speed connection has been greatly increased. 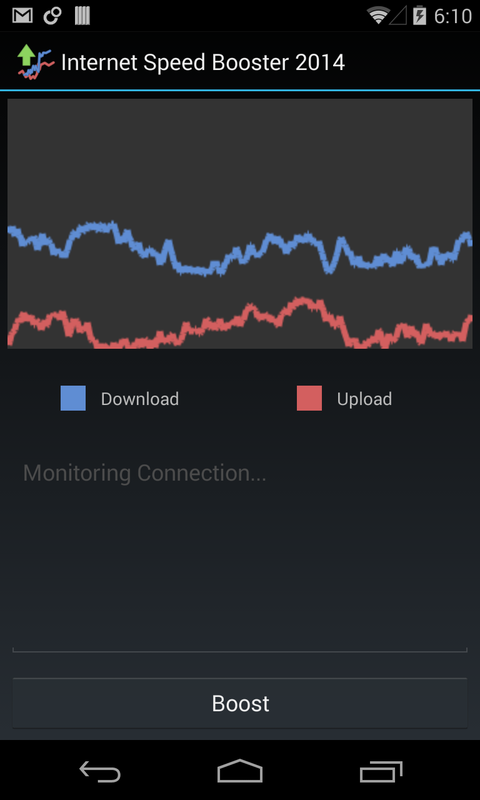 It shows realistic graphs of your internet upload and download speed, and then when you press the boost button, it makes your internet download speed go through the roof. 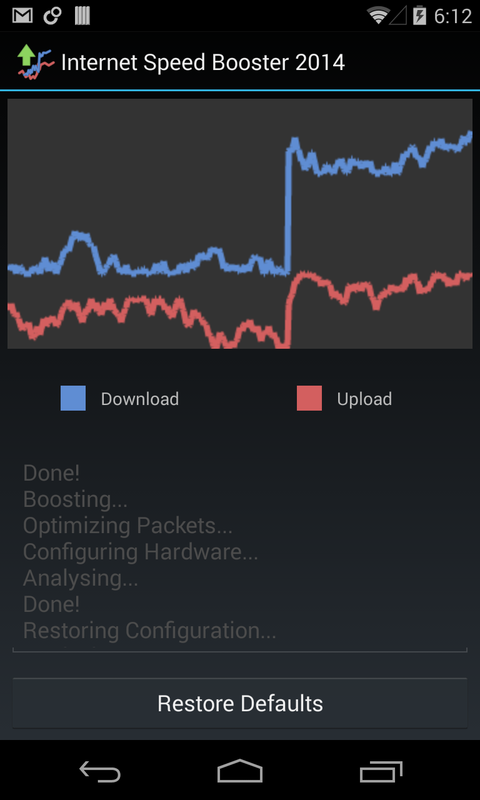 The app is a prank for fooling your friends though and it does not actually speed up your internet connection. You may find though that it has a nice placebo effect and you will really feel like your internet is faster.